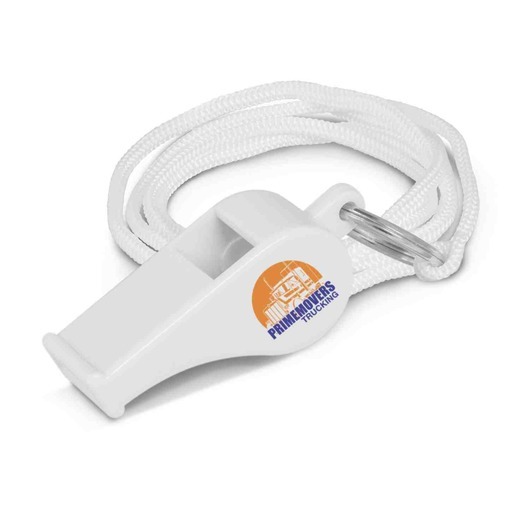 Sports whistle with a woven lanyard and tapered mouthpiece. Ideal for athletic officials, playgrounds, lifeguards, etc. These whistles have a tapered mouthpiece and produce a loud, high-pitched sound. The whistle comes with a woven lanyard for easy transport.